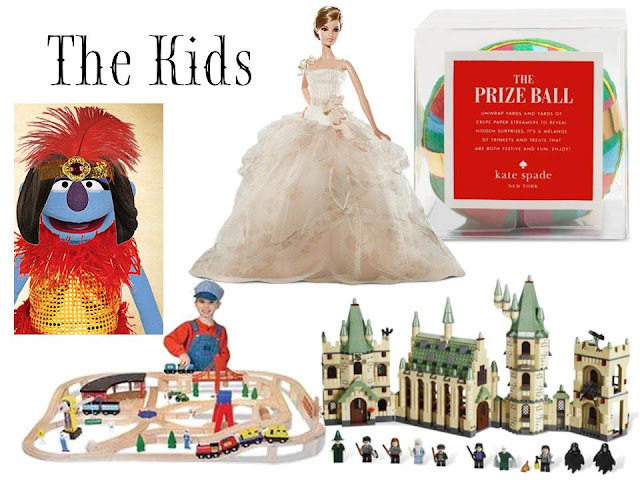 · For a kid or kid at heart like me, I LOVE this Kate Spade Prize Ball. You unravel the ball of color fun to find little trinkets! · Reader Lindsay informed me that little boys like trains (she’s got nephews!). Why not make their day with an awesome train set! I like this one because it is wooden and not some fancy electronic one. · How freaking rad is this Hogwarts Lego set? This is a must have for any Harry Potter fan! The hubs was LOVING the Lego aisle this week when we bought some toys for kids from a work toy drive!